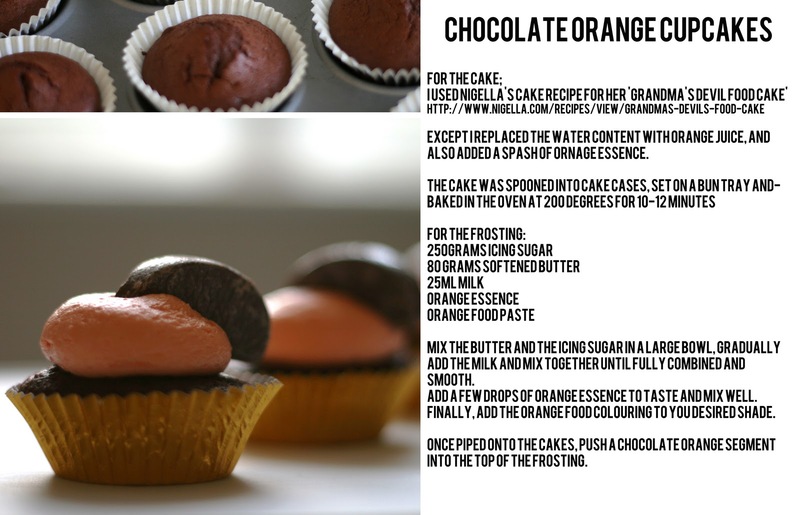 This weekend I tried to enter the Christmas themed IronCupcake:Leeds with these Chocolate Orange Cakes - because it's not christmas without a chocolate orange in my house. I baked the cakes with a stinking hangover the morning after my works christmas do.I frosted the cakes whilst I had a bunch of friends over still from the night before. I lovingly cut the cakes into quarters as instructed. And then i tried to move my car, but the handbrake had frozen solid after not having moved for a week in sub zero temperatures. It took an hour and a half for it to unfreeze, by which time I was too late to enter. But they did make a good subject for the Food+Foto class. Awwww. thanks or stopping by!